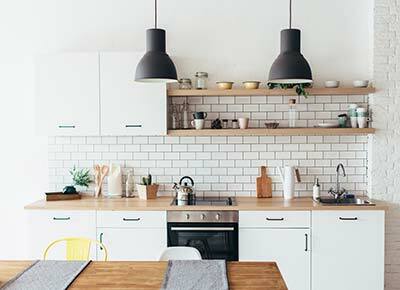 Many of the most impactful kitchen updates (see: counters, backsplash) are a) expensive and b) a heavy labor lift. But according to kitchen flipper extraordinaire, Joanna Gaines, there's one mega-transformative change that's both easy and affordable. Kids, it's time to switch up your hardware. Specifically, you'd do well to replace your knobs, pulls, hinges and accessories that outfit your cabinets and plumbing needs. “I think that hardware plays such a huge part in the style of a space,” Gaines told us. Think about it: A chrome bar-style pull announces a kitchen as modern, a rounded nickel one suggests a more traditional, country vibe, and so forth. So if you're looking to bring a touch of boho/farmhouse/whatever into your room (but like, without a full-on reno), simply order some new bling.